Thanks for stopping my husband from kissing the pig. January 27, 1908, I left my three-year-old boy to play alone. 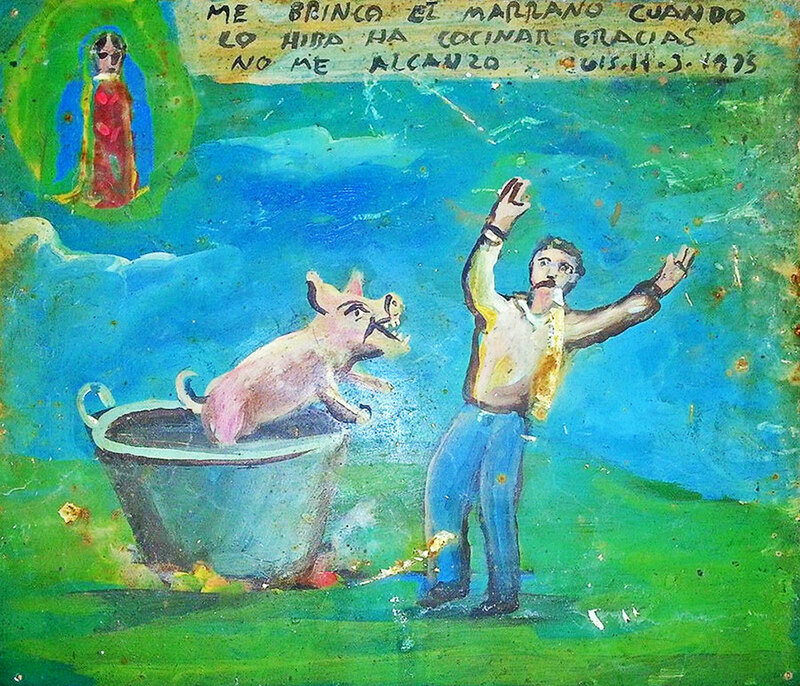 When I was back, I saw that the pigs jumped on him and tried to eat him. 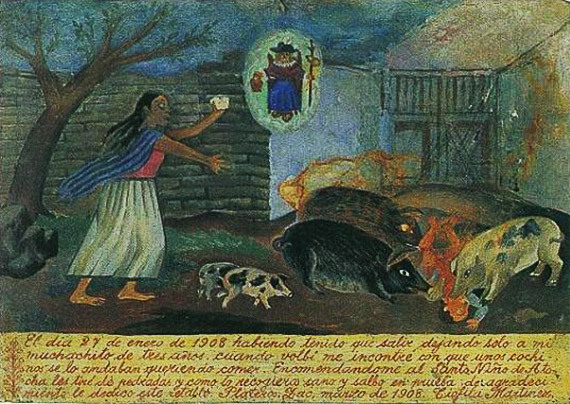 I entrusted myself to the Holy Child of Atocha and started to throw stones at the pigs. 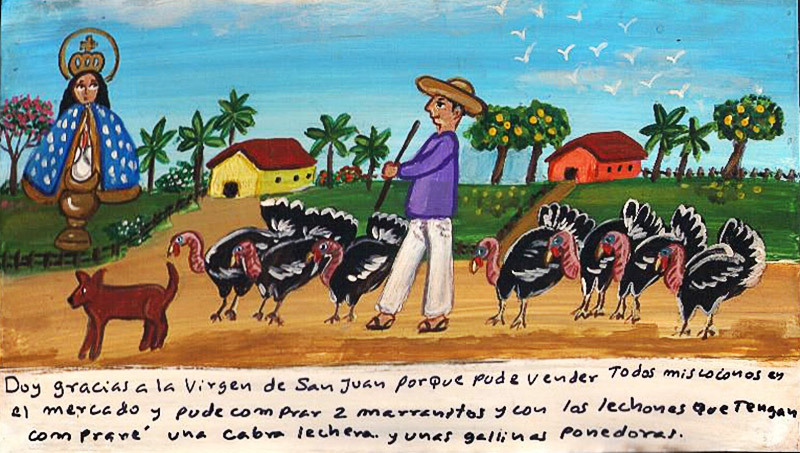 Since I managed to save my son and he was safe and sound, I dedicate this retablo in gratitude. 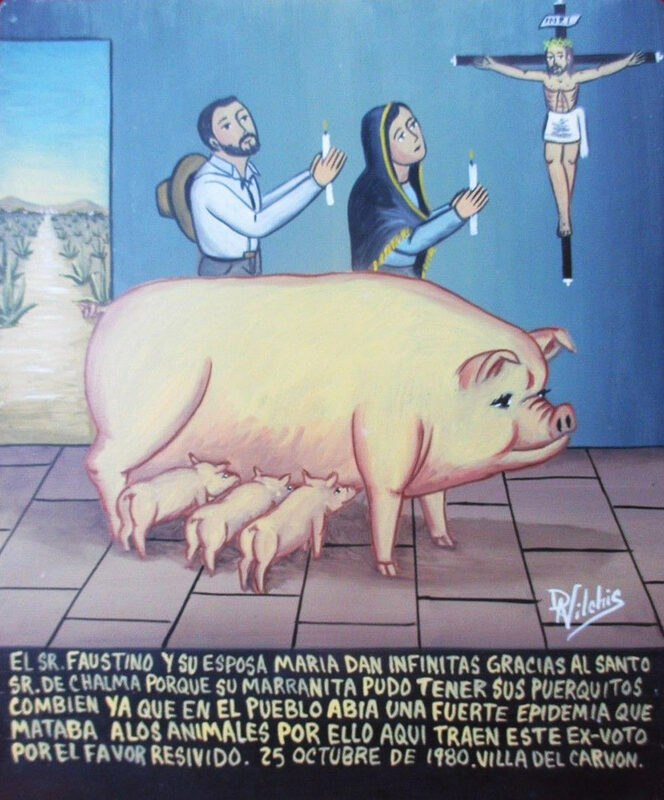 Sr. Faustino and his wife Maria give infinite thanks to the Lord of Chalma because their pig kept her piglets. 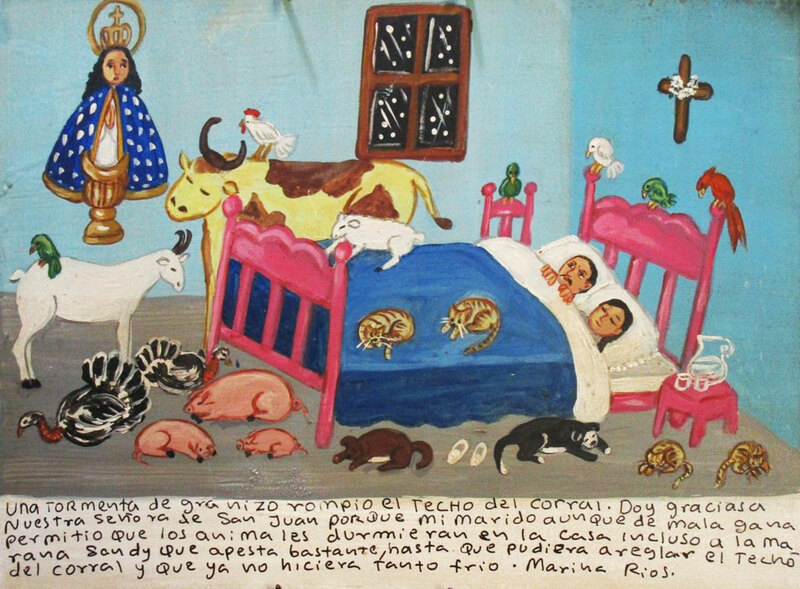 There was a strong epidemic in the village killing all the animals. 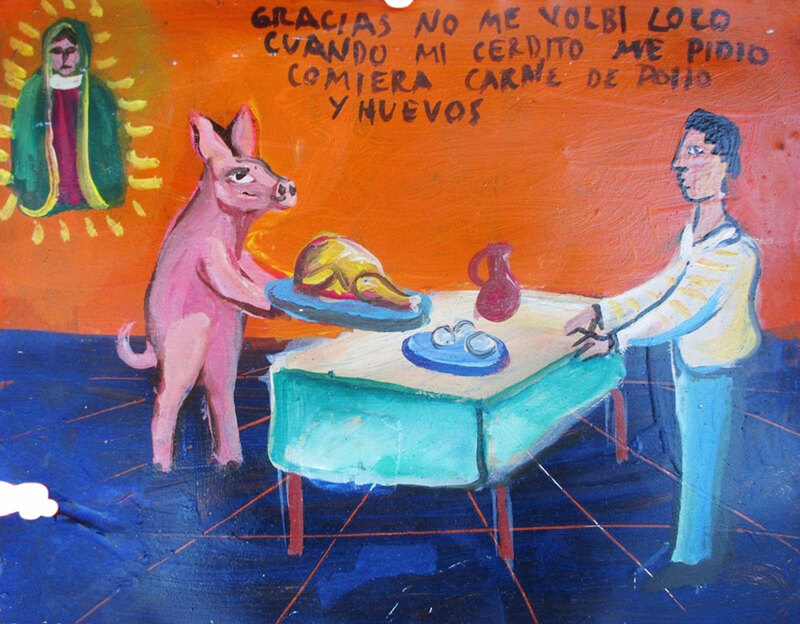 For this favor they bring this ex-voto. 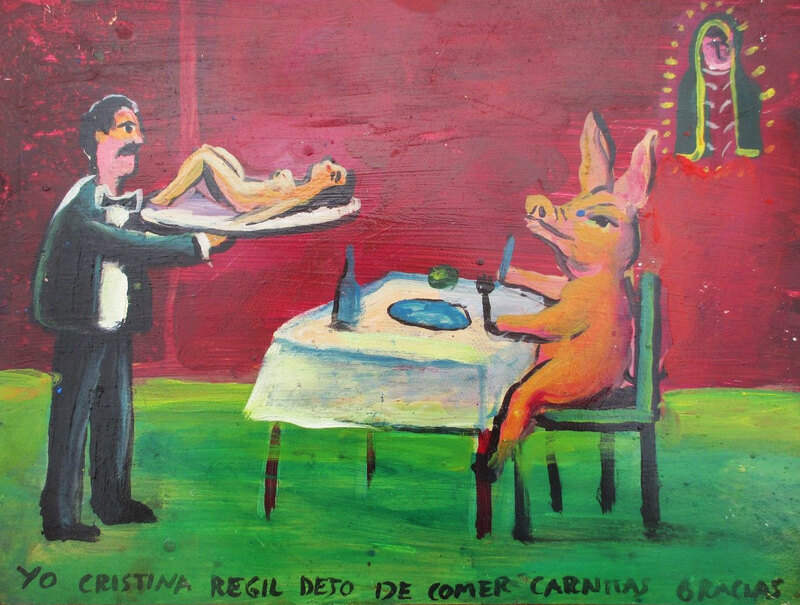 I, Cristina Regil, stop eating pork. Thanks. The pig jumped on me when I was about to cook it. Thanks for it didn’t reach me. 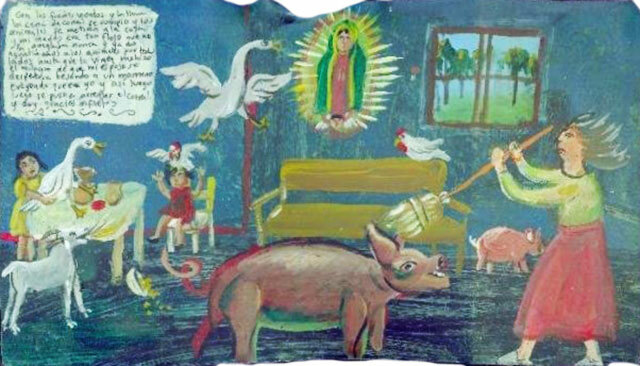 I was coming back from the Xochimilco market in my boat feeling very happy because I had bought at a very good price five beautiful piglets to start breeding pigs with. My boat was old and quite damaged, so it started drowning because of the big weight. My piglets and I started drowning also. 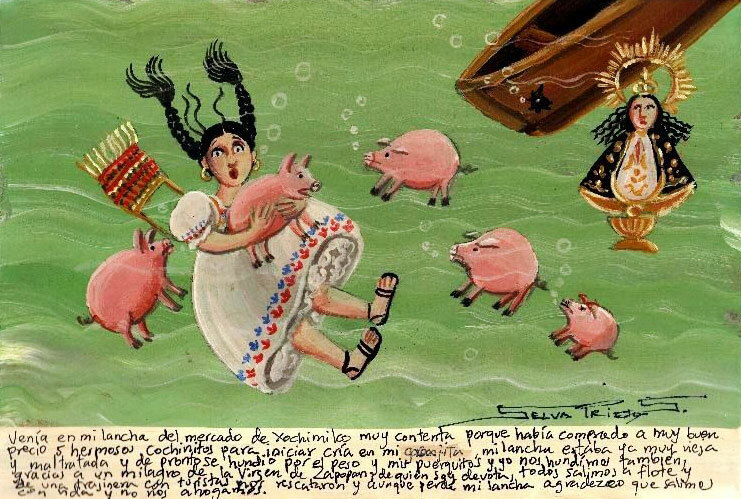 Thanks to the miracle of the Virgin of Zapopan—whom I’m very devoted to—we managed to float until we were saved by a tourist trajinera-boat. Although I lost my boat, I’m grateful that we are still alive and didn’t drown. Because of strong winds and rains our corral collapsed. We had to move the animals to the house, and my husband was so lazy, he didn’t repair the corral. I couldn’t stand the animals at every corner of the house. Finally the Holy Virgin made a miracle. 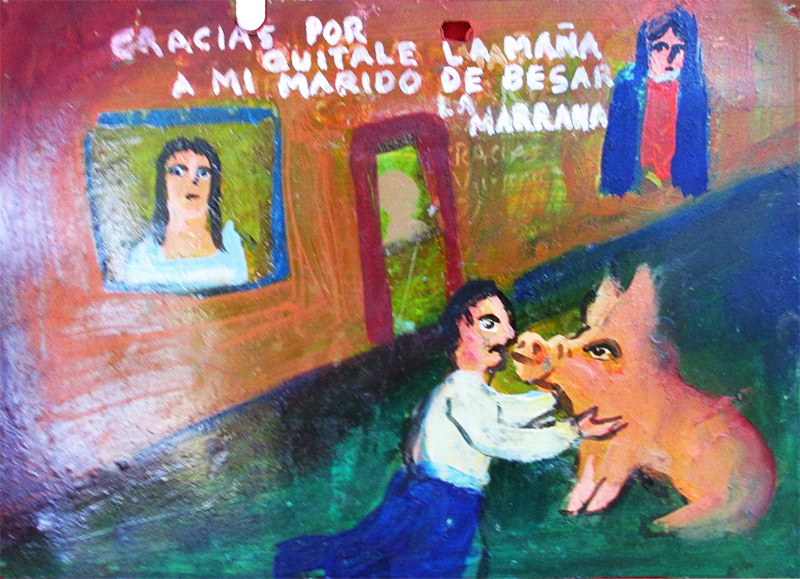 Once my husband woke up kissing a pig thinking it was me. This made him repair the corral. I give infinite thanks for that. We thank Saint Anthony. 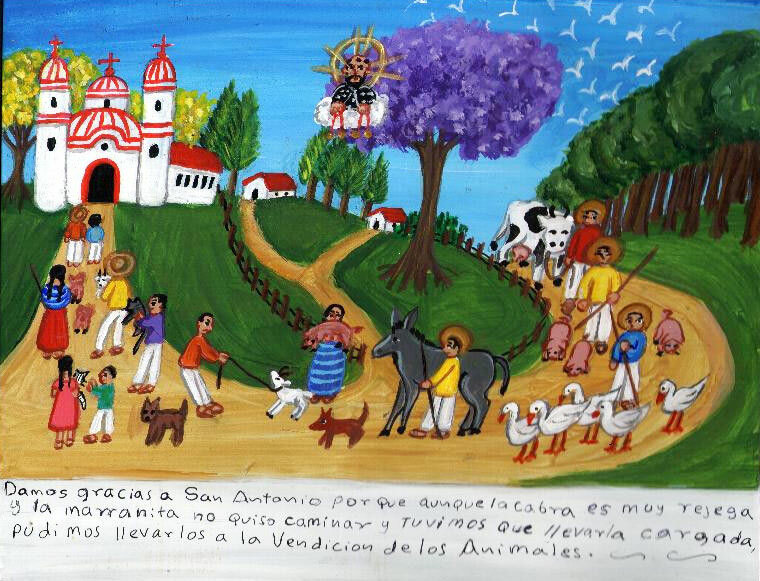 Although the goat was very stubborn and the piglet wouldn’t walk so we had to carry him, we were able to bring them to the Blessing of Animals. 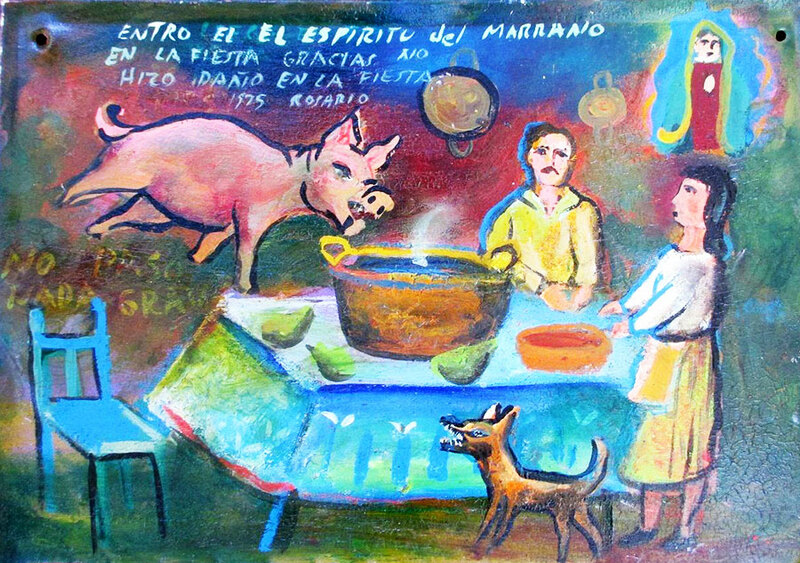 I thank for I didn’t go crazy when my piglet asked me to feed him chicken and eggs. 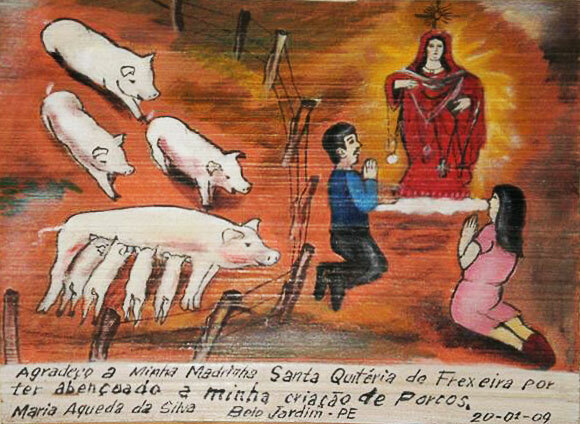 I give thanks to Saint Quiteria of Frexeiras for blessing my piglets.